The corrugated pipe creates turbulences of water. That ensures on optimum heat exchange between storage medium and heated medium. 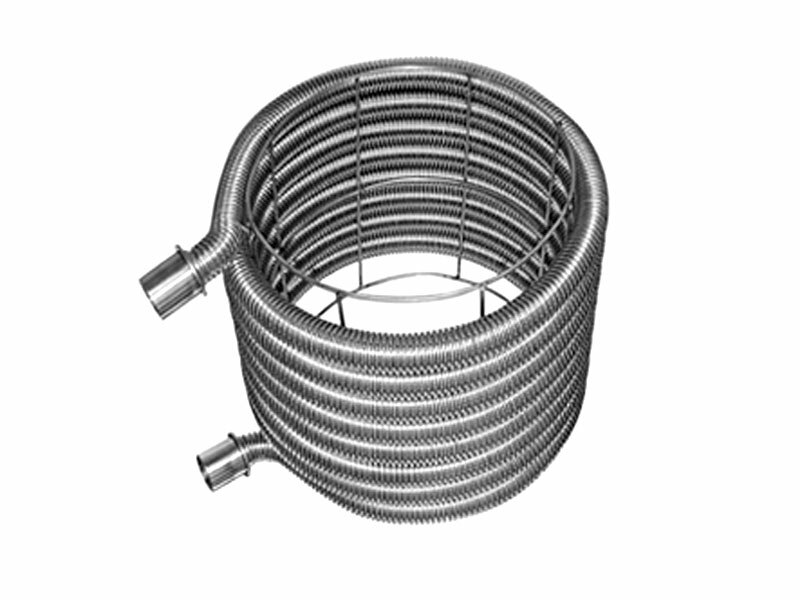 The required temperature is reached faster by greater surface of corrugated pipe. The corrugated pipe is more flexible. due to corrugated pipe better heat performance with same size of vessel or same performance with smaller size of vessel.